Sweet, salty and spicy, these rosemary nuts are perfect with cocktails or for snacking. But don’t say I didn’t warn you: they’re crazy addictive! Versions of the famous Union Square Cafe Bar Nuts appear in many cookbooks. Since I love them, I thought it only fitting to include my own adaptation here. Sweet, salty, spicy, and rosemary-infused, they are the perfect nibbling food. And they’re so easy to make! Serve them with cocktails, enjoy them as a snack or give them as a gift. But don’t say I didn’t warn you: they are crazy addictive! Line a baking sheet with aluminum foil for easy clean up. Place the nuts on the baking sheet and toast in oven until warm, fragrant and lightly golden, about 5 minutes. Keep a close eye on them, as nuts can burn quickly. Meanwhile, in a large bowl, combine the rosemary, cayenne pepper, brown sugar and butter. Add the warm, toasted nuts to the spiced butter and toss well. Then add the kosher salt. Serve warm or let cool to room temperature and store in an airtight container for up to 5 days. Freeze for longer storage. Preheat the oven to 350°F and set an oven rack in the middle position. In a large bowl, combine the rosemary, cayenne pepper, brown sugar and butter. Add the warm, toasted nuts to the spiced butter and toss well. Add kosher salt and toss to coat thoroughly. Serve warm or let cool to room temperature and store in an airtight container for up to 5 days. Freeze for longer storage. Note: I like this recipe best with cashews and pecans, but you can use any nuts that you like. If you use raw nuts, be sure to toast them a bit longer, about 10 minutes or until lightly golden. Freezer-Friendly Instructions: The nuts can be frozen for up to 3 months. Defrost them on the countertop before serving. Delicious and easy! I served the nuts along side some popcorn and your Buttered Cider with Rum recipe for my bible study on a night when we had a cold weather alert. Everyone thought it was a nice change from tea and dessert. I made this, sorta, using just pecans (because I had a lot I needed to use) and thyme in place of rosemary (because I had some fresh thyme). It’s really excellent. I think I’ll try it with just cashews next. Do you think these could be done with olive oil instead of butter for a non-dairy option? These are a favorite in my house but having some non-dairy guests for the holidays. Thanks! Sure, Heather – I think that’d work well. Love this nut recipe! I make these every Christmas and give them as gifts to my family. They are a huge hit! I just wasn’t crazy about this nut blend—very disappointed as I had hope to make it as this year’s awesome Christmas gift item. I would rather just have some mixed nuts. Maybe it was the rosemary…. I made these nuts for my Christmas gift baskets. This was the most asked for recipe from everything in the basket. Easy and truly yummy. I did add a bit more salt. Before I begin my review I must state that rarely do I mess with making changes to Jenn’s recipes because they are already perfected. I love to give food gifts to friends and family and have several friends who are gluten free so this is a quick, EASY treat from my kitchen they can enjoy. I made these several times and I loved the taste but not the greasy feel on my palate or fingers. I slightly changed the recipe by using RAW nuts and toasting them for 8 minutes in the oven then tossing them in the spiced butter mixture and returning them to the oven for 5 minutes more. The greasy taste and feel were gone and the spice mixture adhered to the nuts better. For vegan friends I just swap out the butter with good olive oil and follow my same changes. Thanks Jenn for all the wonderful recipes and your work developing them. Can they be made a few days in advance and serve at room temperature? Hi Christine, they’d be fine to make a day or two ahead. While these are best warm, it’s fine to serve them at room temperature. Here’s another option that’s great at room temperature in case you want to take a peek. I have made these nuts multiple times for taking to parties or giving as gifts in a nice jar. I actually start with mixed nuts that are lightly salted. I also use all dried spices as these work very well. These make a great gift for someone and are excellent as an appetizer, or just a game day nibble. Love it and it’s also very easy and quick to whip up. Always have the ingredients on hand for last minute needs. We love this recipe! It’s so easy and people love to nibble on it with drinks before dinner. I have used Kirkland Signature (Costco) Extra Fancy Mixed Nuts. They’re salted, so I cut the salt to just a bit, about 1/8 teaspoon. Because my husband has a sensitivity to cane sugar, I use maple sugar and it works great! Thanks so much for the recipe. As a party favor, I would like to fill personalized wine glasses with these along with a bottle of wine. Do they do as well at room temperature?) (I live by your website for all my entertaining! THANK YOU SO MUCH)!! Hi Alicyn, so glad you enjoy the recipes and use them for entertaining! While these are best warm, it’s totally fine to serve them at room temperature. Here’s another option that’s great at room temperature in case you want to take a peek. I made these a for a cocktail party some friends were having. They almost didn’t make it over because I wanted to keep them to myself. They smell and taste amazing. A small thing, a simple thing you might think – nuts – but people go .. well … nuts for these. For a drinks party always make twice as much as you think you might need. I am a big fan of your website and these bar nuts. Do you think I can add dried cranberries and not have it taste like granola? Should I toss the cranberries at the end or include them in the oven when heating the nuts? Hi Myra, glad you like the website (and the nuts)! I think you could get away with adding dried cranberries here. It will obviously add some more sweetness, but I don’t think it’ll taste like granola. (I’d toss them in at the end.) I’d love to hear how they are with this addition! can these be put in a nice jar and stored for gift giving. Definitely– Hope your recipients enjoy them! I look forward to making these ov r r the next few weeks, but I really want to tell you how much I likè your site. Also, you have always been very prompt responding to my questions, giving me very good advice. Happy Thanksgiving! Thank you, Cindy! Happy Thanksgiving to you too! What would happen if I used the salted version of nuts? I know I would not add the tsp. Of kosher salt, but would it still work? Yes, Deidree, I think that will work. Enjoy! Hi! I melted everything together in advance but now it looks as though the brown sugar has clumped, almost candied?.it looks separated. which is what I was trying to avoid based on other reviewers warnings. I’m not roasting my nuts until I figure this out.. maybe UNmelted sugar is what’s important? Hi Donna, I would make the coating for the nuts while they are toasting in the oven (as opposed to in advance like you specified). I that that’s probably what caused the problem for you. These are a favorite and a staple at my happy hours which I love to host often. These are perfect in every way! Can’t get enough. I love this recipes, and so do my guests! It has been a hit with every type of nut I’ve tried, even peanuts! Hi Jane, While I think you could use silicone pan liners in many recipes that call for parchment paper, I don’t often suggest them because most people don’t have them. Absolutely love this recipe. These nuts are an expected gift by many friends and relatives at Christmas. Cook’s treat-toss in a few handfuls of macadamia nuts. Yes Mary, I think it would be just fine to freeze them! Hi Jenn. I was just about to make this for a party and realize I only have light brown sugar 🙁 Will it taste okay with the light brown sugar? Thanks! Hi Valerie, Yes, it will still be delicious. Enjoy! Thanks so much for the recipe. I’m hoping to make them for Thanksgiving tomorrow and trying to do as much prep today. Can I make these today and serve tomorrow or would you suggest doing them right before you serve so they’re still warm? Hi Dawn, Perfectly fine to make ahead. Happy Thanksgiving! Great party snack and app with pre dinner drinks. People were so impressed with them. These are amazing! I often eat way too many, be careful once you start it’s hard to stop eating them. I make several batches over the holiday season. I often reduce the cayenne pepper, if you aren’t a big fan of spicy food you may want to consider that as well. These are a hit every time I make them. They really pack a punch with only a few ingredients. One of my all time favorite snack recipes! I believe you when you say that they are addictive, they certainly look it! I would love to make some for gifts this Christmas. Was just wondering how long they would keep. How soon in advance I could make and store them prior to gifting. Thanks for another awesome recipe! Hi Robin, I’d say they keep well for about a week. Can you use dried rosemary instead of fresh? I only have fresh thyme & parsley on hand. These are addictive! Seriously! I’ve made them twice already. They are soooo good when you eat them right away while still warm. First time I used unsalted roasted nuts and the dark brown sugar as listed. The second time I used raw nuts and only used coconut Palm sugar to make it a little more healthy since I planned on eating must if it 🙂 Both were delicious, but it was way more delicious the first time when I followed the recipe verbatim. Goes great with a dark beer! Yum! Hi Jenn, I’d like to know how i will be able to store the nuts in order to have a longer shelf life. Thank you. Hi Mary Ann, They will keep well at room temperature in an airtight container. These nuts are fantastic, but it looks like a lot of the spices and rosemary do not adhere to the nuts, and are left on the sheet. Any suggestions? Hi Karen, Yes, some of the spices don’t stick; that’s just the nature of it. I just pour them over the nuts in the bowl. Next time try making these with mostly pecans — the spices stick in all the crevices. Jen–your website is FABULOUS! So glad I happened upon it–I have a question about how to prepare this–do you chop up the rosemary leaves or what? Thanks! 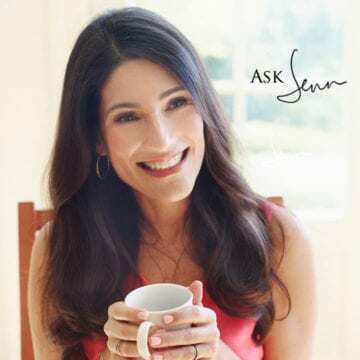 Hi Jen – I have a huge container of salted mixed nuts from Sam’s Club. Could I use those in the recipe and just omit the salt? I have to tell you that this year I have been agonizing over recipes to use that will make my Thanksgiving preparation easier. I opened your email this morning and lo and behold my delimma is solved. Thanks! Do you use raw or roasted nuts for this recipe? Hi Karen, I use roasted nuts. They’re only in the oven for 5 minutes so they’re really just getting warmed through. Hi Jen; I’d love to make these nuts to give at Christmas. Any ideas? Hi Heather, These nuts make perfect holiday gifts! Are you interested in different variations or on how to package them? These nuts are well balanced a real tasty treat! I have taken them to Thanksgiving dinner! I also added them to holiday gift baskets for friends! I made these for Thanksgiving. My family loved the perfect combination of flavors and spices – all perfectly balanced. I will definitely make them again very soon! I cannot wait to make these! My husband and I met in SF and ate this many times. These are amazing and addicting. I have made these nuts several times and given them as gifts. Absolutely divine. You have to try them as they are easy and a very gift worthy concoction. Also good to give to someone who is not eating sweets. It just seems healthier. the nuts make an attractive gift in a nice small glass jar. Great party food too.The nuts can be varied too, to make it more customized. Delicious! Love the complex flavors of salty, sweet, spicy, & earthy! Makes for a great party snack! nvr been to union sq. but these nuts are good!!! Very yummy, but if you tend to like things less spicy, I would only use 1/2 the cayenne pepper. Even those friends who “claim” to love the spicy stuff said Oh my when they got some rosemary and spice together…..great [email protected]! I loved these! Made them for a Halloween party today and added Kraft caramel bits to the mix in honor of Halloween. Delicious! Simply delicious. I can’t stop eating them!